"It's Lutari Day!" my owner sang, waking me up from my slumber on the floor of our Terror Mountain neohome. Like we didn't know. She'd been counting down the days for quite some time. "I don't have any space elsewhere, so, sorry, Garrett, you're going to have to come with me." I sat straight up, uncurling my green wings as if expecting to have to fly. "What?" My owner's hands were on her jeaned hips, her straight blonde hair falling to the side as she tilted her head. "What do you mean, what? I have four pets, and I want a Lutari. That means I have to get rid of one, does it not?" I looked at my brothers and sisters. Kiko_Wiko picked at the bandaid he never took off, not meeting my eyes. Kayla-bunch-of-numbers, as I called her, was facing away from me, her spikes pointed towards me as if locking me out. Arc was playing with the custard scamander he came with. I looked between the blue Kiko, yellow Chomby, and speckled Grundo, then back at my boring green scales. I was neither limited edition nor a special colour, so I was getting the boot. Seeming to sense my realization, Lila, my owner, pushed her thin glasses up, a look of satisfaction on her pale face. "Leave your scarf here." A cold fire started inside me as I took off the thin brown scarf she'd given me, placing it beside my bed---oh, sorry, section of ground. I also removed that astronomy club thing she'd given me so she could use me to get the avatar. I stood up, looked her square in the eye, and said: "You're a terrible owner." This made her laugh. Actually laugh! The fire got bigger as she smiled, showing her almost-straight teeth. "The key word in that sentence was owner. I'm the owner, so I get to do what I want. You're lucky I've fed you up to this point. Now, come on! Out of my house! The Lutaris are waiting!" "I most certainly am 'fed up'," I growled, spreading my wings and trying to look big. "I don't have proper customization. I don't have a room. I have to sleep on the floor. You only feed me when it's convenient for you. You couldn't even give me one of those tapiras, who cost 2 NP if you look in the right place!" "Garrett, Garrett," she said like I was a baby Shoyru refusing to eat his omelette. As if I'd be lucky enough to get a paintbrush worth that much. "You're just making this harder on us all. You know I don't really want you to leave, I just want a Lutari." "I'm glad to leave! I bet the stinky pound with that scary Techo will be better than being your pet. 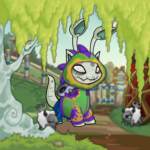 I pity those of us here, and that Lutari! And if you don't get one, don't expect me to come back!" I stomped along the plain wood floor, heading for the door that would lead me down to Happy Valley and to the boat that would lead me to Neopia Central, to where I'd be thrown away like an object. During the boat ride, I sat on the deck, letting the wind whip against my scales. Normally, I'd have been cold, but my inner rage kept me warm. I watched the lands pass by---Tyrannia, Roo Island, until at last, the junkyard (a.k.a. Neopia Central). So, I'm going to the pound, I thought as I got off the boat. I'm basic coloured, I'm a regular old Shoyru, and my full name is _garrett_123_a123_75. I'm not going to get picked up too quickly. I flapped my wings, my rage making me want to fly, or punch someone until their HP was depleted. Unfortunately, Lila, being a human, wouldn't make a good Punchbag Bob. Lila was waiting at the base of the boat, that annoying smile still on her face. I pushed past her outstretched hand, to where I knew full well the pound was. "Look, Garrett, it's nothing personal---" Lila tried to explain as she leaned on the Techo's black desk. I completely ignored her, picking at a spyder's web in the corner. Its maker was nowhere to be found. "Leave me alone and do what you've got to do." I scratched the place around my neck where I was used to my scarf being. "Go on in now," said the Techo, sounding like he pitied me. Whatever. Not looking back at my old owner, I stepped through the door. The inside of the pound was far more organized than the Techo's little office. Close to me, neopets played with cheap, simple toys and read what looked like boring books. Along the far wall were thin, plain beds that didn't look too comfy, but were probably more comfy than the floor I was used to. To my left, pets sat around plain brown tables, eating bowls of... ew, what was that goo? A pink Uni with a cap that read 'Staff' and a few humans milled through the crowd of pets. The Uni pranced across the room towards me, her soft mane flowing around her neck. "Hi there!" she said in a high voice that drove me nuts already. "What's your full name, dear?" She took an air faerie notepad and a big red pen out of the pouch on her belt. She placed the notebook on the ground and managed to hold the pen, which, I had to say, was impressive. "_garrett_123_a123_75. That's with a lowercase G."
"What a pretty name! So, you're a little boy, and what's your level, strength, defence, and speed?" The interview continued about like that, until her voice made me want to claw my ears off. Once she was finished, the Uni ripped out the light blue page, only crumpling it slightly, and took a piece of orange string out of her pouch. "Ooh, this part is so hard! Do you think you could help? You have hands. I need this tied so it fits loosely around your neck, like a necklace. I've always wanted a pretty necklace..."
Before she could make me lose last night's supper, I strung the string through the hole in the paper, then tied a knot in the string and draped my little necklace over my neck. The paper rested at about my stomach. "Good, good, good! RaylennaLynn, sweetie, this isn't the battledome!" The Uni gave me one last smile, then ran over to stop a red Ixi from kicking a yellow Eyrie. Lovely. An owner couldn't pick me out soon enough. The next week or so passed routinely. Wake up. Make my bed. Eat a pitifully small breakfast. Clean the room. Eat a small lunch. Play with a cheap, ugly plushie until my eyes nearly fell out of my head. Eat a small dinner. Go to bed early and try to block out the noise of the whiny pets and the humans squealing about this pink pet or that island pet. Sleep. Wake up to do it all over again. It was after lunch several days after being abandoned that the numbing rhythm changed. I was lying on the ground, a headless von roo plushie in my hand. My wing was half covering my head in an attempt to look sad and helpless to a human that was looking at us. Her eyes dwelled on me, and I felt my stomach hop with hope. But her gaze continued. Lovely. I rolled over and sat up, clenching my teeth together to avoid falling into a yelling fit like I'd done with Lila. Lila. I'd never fully admit that I missed her. I gave my plushie to a little blue Meerca that was looking sad. She smiled at me, hugging the ugly thing. I headed to the bed designated as mine, plopping down on it. Any more of this and I'd go crazy. Hello? What did we have there? A short door was half camouflaged into the wall between the bed of my neighbour, a green Mynci named Rerererere9, and that of her other neighbour. I flew over Re's bed, then, making sure the pink Uni wasn't looking, pulled the small white handle. It opened easily, and I dashed inside, closing the door behind me. Inside the room was dirty and dark, but so cool. Petpetpets crawled on the walls and skittered across the rotting steps before me. The walls had the occasional hole in them that I didn't dare put my hand near. Taking a hold of the partially broken railing, I carefully climbed these mysterious stairs. At the top, I heard voices. I stopped to listen. Amid soft chatter, two voices stood out. "Poet, I think it's time we accepted Thayliennet into a spot of higher priority. She's been very helpful in finding food for us. If they were to release her, we'd have trouble." It was a girl pet that was speaking, a big one, I thought. "Actually, I was considering Werelupe_123493. He does his job nearly as well as Thaylie, and, since he’s Halloween, I’d like to keep him away from the humans." This was a boy, perhaps Poet, speaking. "I understand what you mean, but we can't promote both of them." I supposed the girl was Desdemona. "No, we can't. I'll think about it. For now, both of their teams should stay off duty." It was right then that one of the frail stairs snapped under my foot. Its wood chips smashed my into my foot, depleting a few of my hit points. I winced. When that was done, there was only the sound of hushed whispering above me. Wondering whether or not they'd heard me, I climbed the rickety steps to apologise for disturbing their conversation. At the top of the stairs was a room nowhere near as shabby as the staircase. The floors were shiny wood, and the walls were covered in artwork drawn directly on their surface. Several unlit rooms and tunnels branched out from this central one. A few tables littered with food and garbage were pushed up against the walls. The only lighting in this room was a simple lamp in one corner that cast an eerie glow on everything, including the four pets sitting in the middle of the room, playing with what looked like fuzzles. "Oh!" cried a yellow JubJub. "F-false alarm! It's just a newbie!" Pets and pets exited the tunnels and rooms, eyeing me curiously. Some were basic like me, while others were painted in varying colours. The last two to peek out of the doorways were a green Uni and a grey Korbat. My eyes lingered on the Korbat. His frown and dreary appearance were deeper than that of a normal Korbat. I studied his depressed slouch until I practically heard Lila's squeal of awe. This was an unconverted pet. I then recognised the name. Poet, the pound stuck, grey, unconverted Korbat. "Garrett," said the Uni contemplatively. Unlike the pink one outside in the pound, she didn't baby-talk to me. Her tone was somewhere between treating me as an equal and treating me as a student with lots of potential. I wished everyone would use a tone like that. "Welcome. I'm Desdemona, and this is Poet. As of this moment, to the outside world, you're stuck in the pound." She smiled without actually seeming happy, just like she was mildly pleased with how her plan was turning out. She walked toward me, her hoofs clomping on the wooden floor. She reached down to bite the string of my ugly name tag, then pulled it enough that the knot came undone. She then tossed it to a nearby blue Skeith. He quickly devoured it. "Welcome to freedom, my friend." Desdemona looked over at Poet. "Which team should we put him on?" "Team Yellow Chia Plushie is on duty next. Give him one of those Darigan action figures." Someone almost immediately threw a weird purple thing at Poet. He flew up to catch it, then threw it in a perfect arc over Desdemona and into my hands. I examined the thing's purple wing-like ears and red glare. It was ugly. And I liked it. "Kelly, please show Garrett around and tell him about the job of a Defender. Desdemona and I have goods to sort. Meet us in the conference room once you're finished." "Yes, Poet," said an Usul with rainbow neck fur that was leaning against the wall. She walked towards us, so gracefully she almost floated. Yeesh, when walking normally became too mainstream. A hum of carefree chatter began once Poet and Desdemona left the room. "Come this way, Garrett." I followed the Usul to the doorway directly across from the entrance to this room. "This room is called the Clubhouse, because that's what we want the dreadful Uni downstairs to think it is. You see, she comes up here occasionally, and a team those of lower position, who we call Defenders, play in the Clubhouse, and are shooed downstairs with the Uni, who assumes they're the only ones up here. Those taken downstairs can always return, if they're not adopted. You see, it's the common principle of the young doing the jobs that require more sacrifice to protect those with more seniority, who have roles that keep the community going. You understand, right?" I had only been listening to half of that, since half of my attention was focused on her ear. It twitched as she spoke, and even now that she'd stopped. "Um, is something wrong with your ear?" "Habit. Now please don't make me repeat what I just said." Her polite attitude had turned on a dime. The ear I decided not to speak of again was tilted back slightly, twitching in annoyance as if it wanted its owner to kick me in the shin. "No, I got it. My team might have to be sacrificed to save you people. It's the seniority thing." Her happy attitude returned. "Good. This is our kitchen/dining room..."
She led me through several of the many rooms there were here. My favourites were this kitchen/dining room, which held all kinds of articles of food, and the flying/running room, which was long and empty. She even showed me some of the farther rooms that I wasn't allowed to go in when my team was on duty, like the Battledome room, the closet, the playroom, and the storage room; and I got a peek into some rooms I wasn't allowed to go in at all, like the conference room and Desdemona and Poet's office. One the tour was finished, Kelly all but dragged me to the Clubhouse, telling me to stay with the members of Team Yellow Chia Plushie until we came off duty. There were four pets on my team, including myself. One was a green Grundo named Walla who was even less intelligent than Arc, if that was possible. One shy silver Bori's name was gibberish, so she went by SG. SG had a rainbow tigermouse named Squeak that was far louder than its owner. The last was a yellow Wocky who went by Katie. All three of my team members had Yellow Chia Plushies. I supposed they didn't want it to seem girly for me to have a plushie too. For the rest of the day, Team Yellow Chia Plushie stood guard, which proved to be easy. We just sat in the Clubhouse, playing and chatting. When night came, we each got a blow-up mattress to sleep on. They were really cool and comfy, and made great weapons for the mattress fight Katie and I had. We stayed on duty for three days, then were off duty for several weeks; more than I cared to count, actually. "You're such a pig," Katie laughed as I chomped on an apple. It was breakfast time, and the kitchen/dining room was filled with warm chatting and laughter. "You just ate some carrots and an entire omelette. Now you're going after that? And it already had a bite out of it! Gross!" "It's not gross, I said through a mouthful of apple. "It's not like they have gourmet food. Oh, wait, they did once." "Remember that snake taco thing we dared you to eat?" "That was NOT gourmet food." "My brother Kiki_Wiko was our gourmet food champion, with a score of 1. That was the food we got when our owner used a cheap nerkmid to get the avatar. For once, I don't envy the fact that he was the favourite. You handled it better than he did, actually." "Eugh. I guess not all gourmet food is good." "Gross food comes in all shapes and sizes." I smiled slightly. "You didn't have the pasta and eyes I was forced to eat at one point." I left her to her oh-ew-ing and and Garrett-you-made-me-lose-my-appetite-ing, heading to the garbage can to throw out my apple core. Seeing Desdemona enter the room and give us her powerful, time-for-you-to-listen look, I hurried back to my seat. The room was silent by the time I sat down. "My friends, I have a question for you." Desdemona began pacing the room. Every eye followed. "Who here knows how ghost neopets get their colour?" "From the Rainbow Pool!" Walla shouted out, clapping her hands. "Excellent, Walla." Excellent? It was completely obvious. "That's one way. Can anyone name me another way?" SG raised her clawed hand, waiting for Desdemona's nod before she spoke. "Well... well, sometimes, if something really bad happens..." SG trailed off, squeezing Squeak. Desdemona smiled. "That's what I was thinking. Keeping in mind the brilliant answers given by SG and Walla, listen to my plan, loyal Defenders. In the tunnels, one of our gatherers has found a ghost paintbrush. The plan the council came up with was for the bravest Defender to be painted with this colour and pretend he or she got that colour the way SG mentioned. Then, he or she will fly through that door and into the pound, screaming or sobbing, whichever method they choose. Then, they will present the Uni and any pounded pet with the most horrid, gruesome story of their death. The door will be boarded shut, and the Uni will never again steal our Defenders from us. Is our plan clear?" There were quiet nods among us Defenders. Some glances of hope were exchanged. "Excellent. Now, do we have any volunteers for this courageous deed?" The room fell completely silent, besides chewing from a few Kaus and the whining of someone's zapped kadoatie. Everyone wanted their freedom, but no one wanted to sacrifice theirs for the sake of others. "Well, don't everybody jump up at once," I said. "I'll do it." "You would do this for us, Garrett?" Desdemona had her head tilted to one side, reminding me of Lila. This time, however, I was being thrown away of my own choice. "Are you good at convincing others to believe what you say?" "I could always get my brothers and sister to believe what I wanted them to." "Excellent. Come this way. The tunnels are the closest thing we have to a Rainbow Pool." "The sooner you paint me, the sooner your fluffy tail is free from threat of the Uni," I said. I was standing in one of the dark, relatively dirty tunnels that branched out of the Clubhouse. My hands were leaning against the rough concrete wall, my wings spread. I was aware of Kelly behind me, still hesitating. 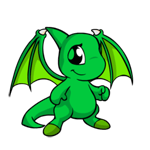 Painting a pet had a reputation of being all 'I saved up my neopoints so you could have a special colour, my pet! Let's be best fwiends fowevew and evew!'. I really didn't care, but Kelly didn't seem to like the idea. She gave a 'hmph' of disdain. Yeesh. She then touched the paint to my back. I gasped as my skin changed, becoming partly of this world and partly of another dimension. She sloppily painted me, though luckily the paint ran so my change actually looked realistic. After she smeared the last bit of paint on my head, I turned around. She backed away in what looked like disgust. "You look awful." "Thanks. I'm glad you're so grateful that I'm sacrificing myself for you." "I didn't say I wasn't grateful. I said you look awful." I rolled my eyes, floating back toward the Clubhouse. Usuls. Desdemona and Poet, among several other pets, were waiting for me when I reached the Clubhouse. "Remember to be as graphic as possible, my friend." Desdemona's tone seemed to hold even more respect than normal. Poet's only thank you was a quiet nod. My friends all surrounded me in a partially functional group hug. After a few goodbyes and I'll-miss-yous (and an always-be-brave-and-strong from Walla), they let me go, and, giving a mental here goes nothing, I charged at the door to the pound. I flew into the pound's main room, breathing heavily and sobbing tearlessly. "It's coming!" I shrieked, sounding terrible. "It's going to get us!" "Garrett? Is that you? Dear, what happened?" Eugh, I hadn't missed that Uni. "I-I-I..." I shuddered. "There-there's something... something... I don't know if it's gone..."
"There's something in there?" the Uni looked back at the door I'd just flown through. I pointed at the door. "I-I-I---what if it comes in here? You have to board up the door! You have to before it-it-it-it---"
"Dr. Death!" the Uni barked, no longer baby-talking to anyone. "Get in here! Board up that door!" The Techo hurried in, tools and boards in hand. The wide-eyed pets kept out of his way as he ran to board up the door. I refused to float down to ground level until the last board was nailed over the door. When I did, all the pets and humans in the room were gathered around, waiting for my story. So I told it to them. Most humans and pets were cowering or even crying with fear when I finished the tale. The Uni looked ready to faint. I figured she'd leave Poet and the gang alone. "You poor dear!" cried one of the humans, kneeling beside me. "I want to adopt him, to keep him safe!" "You wanna play with the beekadoodles, Garrett?" asked my sister Karrylenna, the faerie Kyrii. "Sure. They're always curious about me, even if they've just seen me a few hours ago." "Don't I know it. Well, come on!" Kare flew out of our Neopia Central neohome's door, closing it behind her. I flew out the closed door. I floated up into the sky until the pound was visible. I hadn't told anyone---not Kare, not my brother Tellinoro, or even the best owner in the world, Amanda---about what was really behind the boarded up door in the pound. I didn't want Poet and them to be found. Then again, I was happier here than I'd ever been. I would've liked to tell them that having an owner wasn't so bad, but I couldn't without permanently robbing them of their freedom. And I wasn't someone who made sacrifices for nothing. I turned back to her. "Sorry, I'm coming." "Hey, were you thinking about... before... again? Look, it's okay. Everything's going to be okay now, alright?" I shrugged. "Yeah, I know." "Come on, let's go find those beekadoodles." I took one last look at where Poet and everyone were hiding from the world, then followed my sister into the open skies, wondering which of us had real freedom.